How do I use Adobe® Illustrator to apply custom graphics to my dieline? Find our guide and a great example of finished artwork ready to be saved and uploaded! 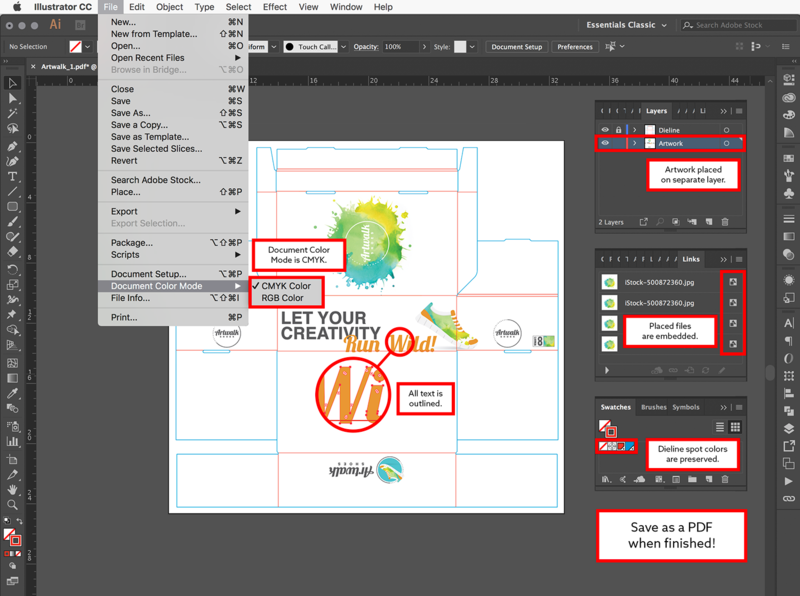 Please read through our step-by-step guide to using Adobe® Illustrator to apply graphics to your custom dieline. You can find our best practices and tips for better artwork here! Make sure you save your file as a PDF when you are done!